White Lion Square’s £1.2m revamp began on Monday 25 February. Borras Construction will carry out the project, which includes the installation of new paving, seating, raised planters, children’s play equipment and cycle parking. 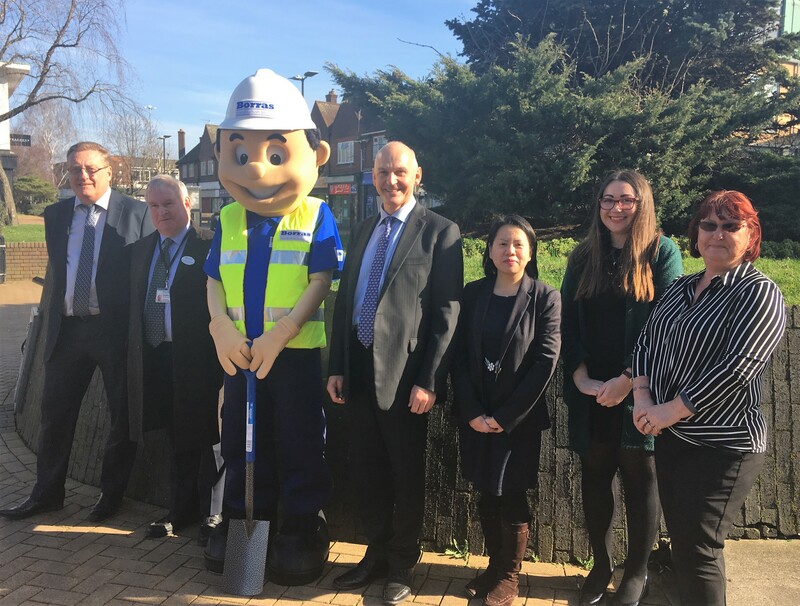 Aiming to create a more welcoming environment and drive footfall to local shops and businesses, the £1.2m redesign is funded through a Local Growth Fund contribution from Hertfordshire Local Enterprise Partnership (LEP), as part of a wider £6m LEP-funded investment in the town centre. The work will take around six months and all local businesses will remain open throughout.